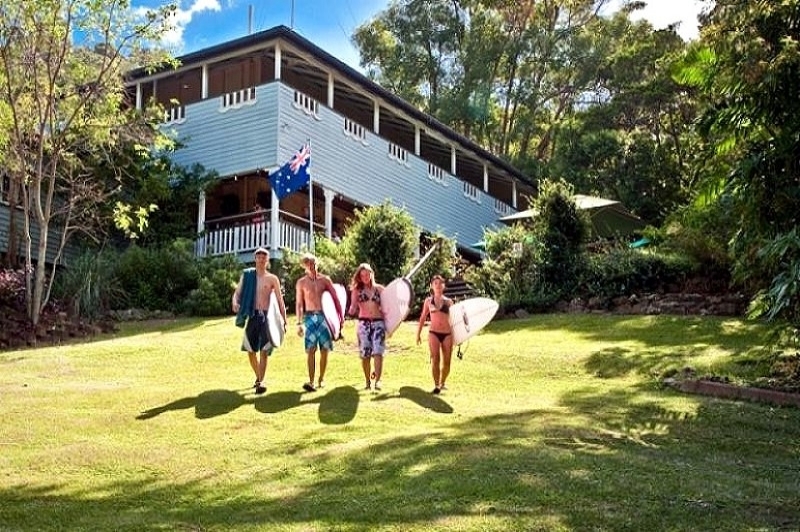 Stay in arms reach of Noosa beach with Halse Lodge YHA! Restaurants, shops and bars nearby! Halse Lodge is known for its amazing locale within Noosa bring a stones through away from the main beach! Situated on Hasting Street, Halse Lodge features Wifi, free surboard hire for guests as well as a popular bar and restaurant and comfortable accommodation for a good night's rest. Closest hostel to Noosa main beach! Why not choose to stay at this 130 year old heritage-listed Queenslander hostel, book today! All client cancellations forfeit 25% of total ticket price and all client cancellations made less than 21 days prior to departure will result in complete forfeiture of the full price of the tour. If the tour operator has to cancel the trip or activity (prior to the departure) and we cannot offer a suitable alternative, then a refund will be given minus card fees. We strongly recommend that you have travel insurance. "This hostel is in such a PERFECT location, literally metres from the beach and of course lots of fun quirky cafes, bars and shops! I loved the vibe at the hostel but the service from the lovely ladies out the front really made my experience a memorable one! Convenient on-site parking available as well as an onsite bar. After a long day travelling the room was all I needed! I had a private room with a ceiling fan, clothes storage and even a cute welcome letter! I honestly can't wait to come back and stay longer and really enjoy this beautiful part of the world for longer :) Thanks Jess and Sarah - you're bloody superstars!"